← What are Professional Raccoon Removal and Control Services? Raccoons can cause an extensive amount of damage in a person’s home or property. They are commonly found nesting in attics, porch areas, crawl spaces, hollowed trees, garages, and roofs. Within these areas, they breed and feed throughout each season of the year. And as expected of wild animals, they chew, destroy, and defecate on everything. Electrical wiring can be chewed through, wood and sheet rock can become saturated with urine and droppings, and attic and wall insulation can be torn apart and used for burrowing. 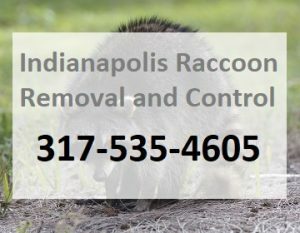 Call Our Licensed Indianapolis Raccoon Removal and Control Company! There will be structural damages to a home or property if raccoons have been nesting there for a moderate period of time. These damages could easily be restored by a general contractor or home restoration company, but these contractors do not specialize in animal restoration and cleanup, nor do they retain the industry-accepted equipment necessary to implement such services. The key to getting reliable service at a fair price is to hire an industry specific company that provides raccoon extraction and exclusion services. Home repair companies and large contracting businesses will charge extreme amounts of money, including estimate costs, surcharges, inspection charges, and upfront fees. Furthermore, they will not likely perform insurance claim work. An industry specific company, like a raccoon removal company, has extensive experience in raccoon repairs and restorations. 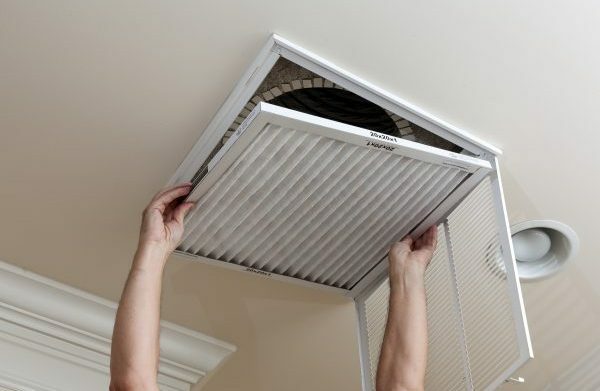 They will charge fair and competitive rates, and offer free inspections and estimates in most cases. Also, a dependable raccoon removal company can work side-by-side with your home owners’ insurance company, to get everything covered before starting the project. Not only will these companies do restorations and repairs, they will provide comprehensive raccoon cleanup and decontamination services. Raccoons leave behind unhygienic messes that can seep into the living quarters of a home or property. These include droppings, saturated wood and floor boards, bad odors, chewed electrical wiring, torn insulation, rotting foods, and more. After a professional raccoon removal company gets rid of raccoons, they will clean up the mess and destruction left behind. As industry professionals, they retain the special equipment and cleaning agents needed to safely and effectively eliminate odors and bacteria, an return the area to a safe and hygienic space. Once the decontamination and cleaning process is complete, they will finish by restoring the damaged space back to its original condition. This is a great service for people recently involved in a raccoon infestation. Cleaning up raccoon mess on your own is extremely difficult. You have to make sure you cover every aspect and clean and sanitize everything with the right chemicals and cleaning agents. Hiring a company to do everything in one for you takes away the stress of seeing all the damage and cleaning it all up. It reduces the time and effort you would have to spend on everything as well. Call 317-535-4605 for prompt and professional Indianapolis raccoon removal and control you can trust. We are DNR licensed and experienced wildlife control specialists who only use safe and humane methods to exclude and extract raccoons. We also offer 24 hour emergency service, raccoon cleanup and restoration, inspections, and raccoon-proofing. Call 317-535-4605 to request a free estimate, today. This entry was posted in Raccoon Cleanup and tagged cleanup after raccoons, get rid of raccoons Indianapolis, indianapolis raccoon removal, Raccoon attic cleanup, raccoon cleanup. Bookmark the permalink.